Recently I had the pleasure of doing wine tasting in Sanoma with Mrs Kaadian and some of her friends. 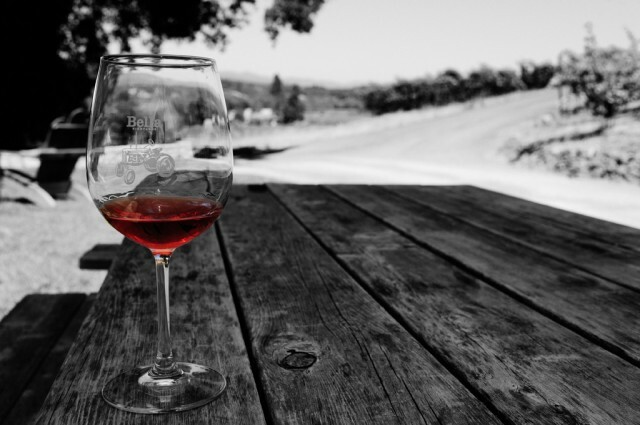 We visited 4 vineyards in Sanoma County, bought wine at 3 of them and had a smashing time. You can see the whole set of pictures here. 2 of the pictures I did as selective colorings. Yes, it’s a bit passe but I like them both. The first image is the one linked at the top of this blog posting. 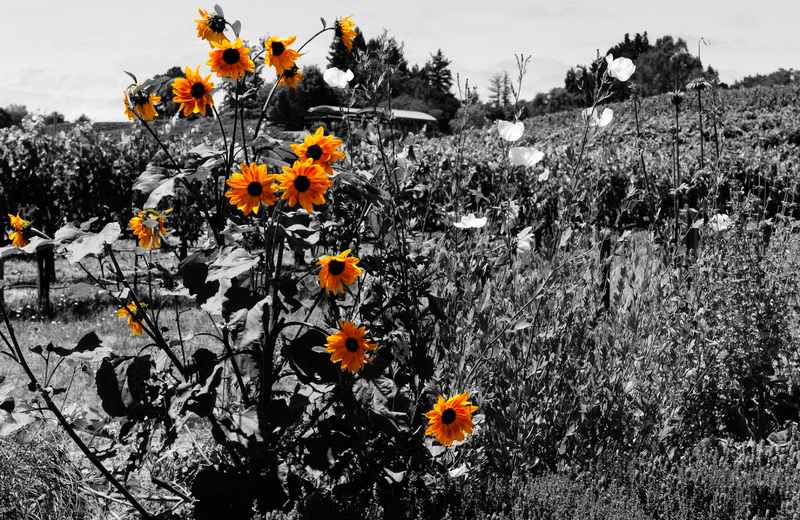 It is some sunflowers in a field with vineyards in the background. The image is converted to black and white using Silver EFX pro and then selectively restored simply using the history brush in CS5. The second image, below, is a glass of wine at the Bella Vineyards. These are the ones with the cellars in the cave in the series.